Do you know what it means to live your life to the hilt? This means “to the very limit” or “completely,” or “with nothing lacking.” For most of today’s teens and young adults, making decisions that will enable them to truly live their life to the hilt is the furthest thing from their minds. Instead, they choose to place their focus upon instant gratification and less on what the future holds. 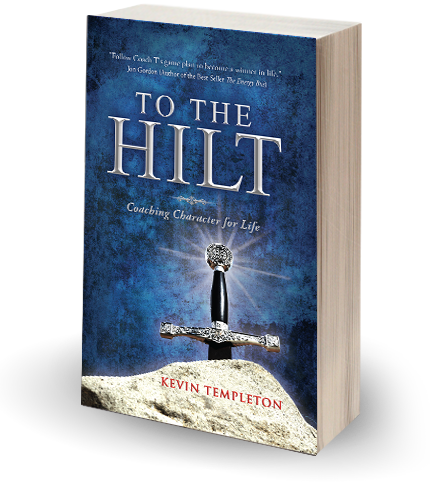 In To the Hilt, author Kevin Templeton provides readers with a comprehensive yet easy to follow guide that contains many valuable lessons that can be used to help build a strong character and foundation for a successful and fulfilling life. Bringing the accumulated wisdom from his many years of coaching and speaking to teens and young adults to the page, readers will understand the importance of decision making and trying to make good choices, accepting responsibility and consequences for bad choices, developing a strong work ethic, the value of education, and most of all of keeping God as a priority at all times. With an engaging, inspirational and entertaining narrative,To the Hilt is a must have resource for today’s youth and those who seek to impact young people. It shows them that if the right tools are applied, they can truly be the best version of themselves both now and in the future.